By Edward J. Drea, Washington, D.C.:Historical Office, Office of the Secretary of Defense, (2011). The historians within the Office of the Secretary of Defense have established an enviable reputation for meticulously researched and well-crafted books, particularly their series on the various Secretaries of Defense. Edward J. Drea’s impressive new volume in this series will add further luster to both the office and its author. 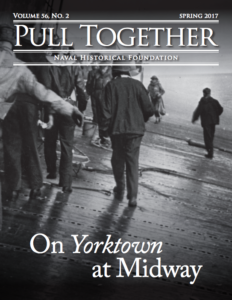 Drea, a highly regarded historian of wide-ranging experience, is no stranger to those in the military history community, and he has drawn on a wide range of official and unofficial sources to brilliantly relate four crucial years in the Johnson era. He mismanaged the military services, leaving them under-funded, under-strength, and discredited in the eyes of the nation. He routinely disregarded military advice, particularly on strategic matters, leaving the United States weaker before the Soviet Union. He unilaterally implemented programs and disregarded their consequences, leaving the larger society poorer for it. 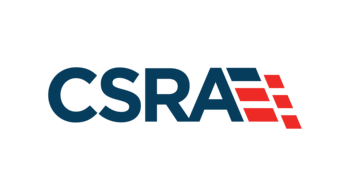 Even now, McNamara remains a vilified man, and attempts to rehabilitate his reputation during the 1990s only served to reopen the raw emotions of the contentious Vietnam era. All this constitutes red meat for McNamara’s legions of critics (not least of which are those who fought while under his tenure of Secretary). 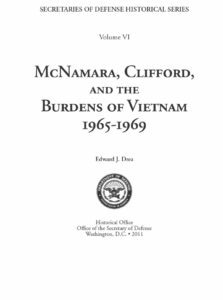 Despite this, Drea approached this history hoping to “derive a more balanced view of McNamara’s and by extension OSD’s, successes and failures” (iii). 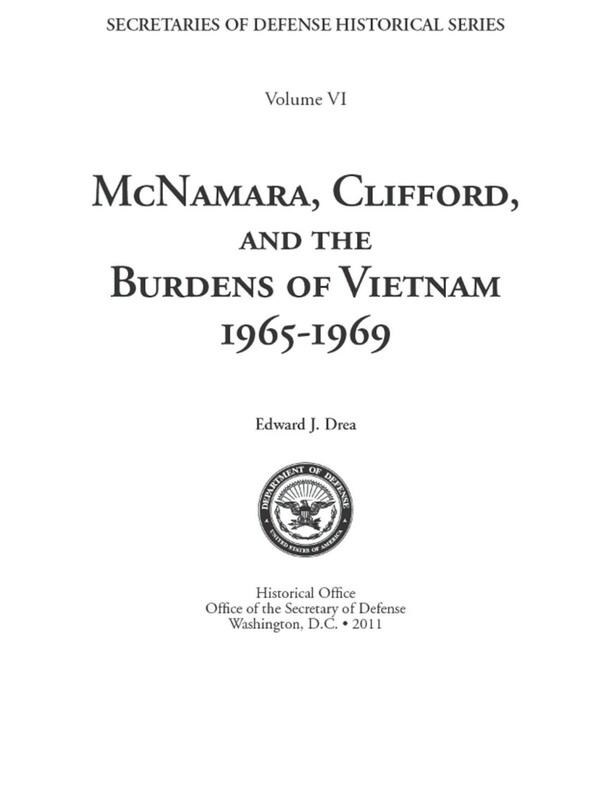 It is a task he takes on dutifully, recognizing McNamara’s outstanding early background, “surpassing intellectual gifts. . .an almost inexhaustible amount of energy,” and his unprecedented “mastery of the enormity and complexity of the Pentagon,” but nevertheless concluding “for all his luminous achievements, his choices that led to the Vietnam disaster will forever remain McNamara’s enduring legacy”(547). Indeed, after one finishes this book, it is hard to see how McNamara’s reputation could possibly be worse, despite Drea’s scrupulously even-handed of treatment. Whether dealing with acquisition (example: the “do-everything” TFX [F-111] program that cost the Navy ten years of fighter development time), space policy, naval surface ship acquisition, relations with the Joint Staff, and his misguided faith in leadership via statistical analysis, McNamara blundered. The largely civilian direction of the air strategy failed the tests of both conception and execution….Lacking an integrated and coherent political-military strategic foundation the air campaign proceeded by fits and starts, sputtering most of the time (82). McNamara obstinately insisted despite testimony by uniformed leaders to the contrary that no gulf existed between military and civilian officials over target selection. This was the McNamara of old – supremely confident, certain of his mastery of the facts. . . But three years of Vietnam had destroyed his credibility, discredited his policies, and shattered his aura of infallibility. McNamara was done. Three months later, amid sleet and rain, he left office, his reputation in tatters, his policies discredited. Rolling Thunder outlasted him by just eight months until it, too (as Drea notes damningly) “ended as it had unfolded – troubled, contentious, and inconclusive” (232). Drea’s book is remarkably free from error, a tribute to its editing. The author’s tendency to jump back-and-forth over time and topic can be jarring, but is probably unavoidable, given the complexity of the subject. It is an excellent companion to H. R. McMaster’s earlier Dereliction of Duty: Lyndon Johnson, Robert McNamara, the Joint Chiefs of Staff, and the Lies that Led to Vietnam (New York: HarperCollinsPublishers, 1998 ed.). Like that now-classic work, Drea’s book tells a sad, troubling, and cautionary tale, one to be taken to heart by those entrusted today with the defense of the nation. Dr Hallion is Senior Adviser for Air and Space Issues, Directorate for Security, Counterintelligence and Special Programs Oversight, the Pentagon, Washington, D.C.